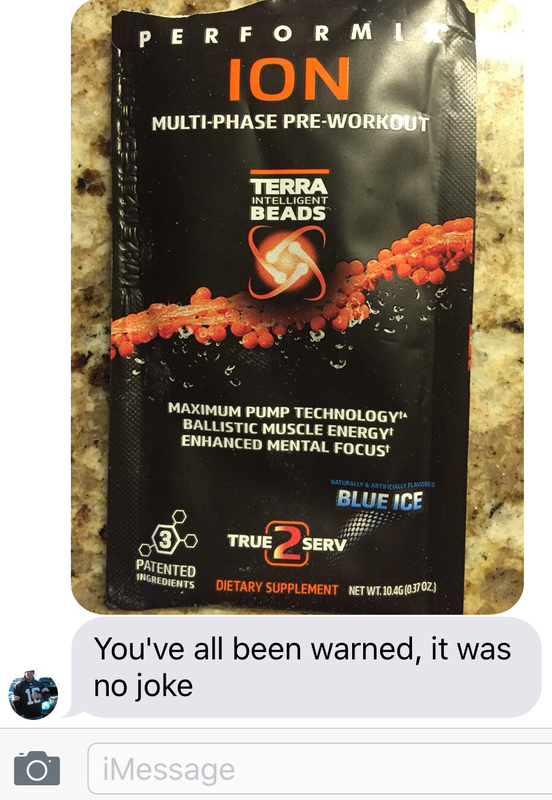 After the 2016 Arnold Fest I received this text message from my friend who attended with me. So of course, this was moved to the top of my supplement test list. Warning, if this is in your stash from this year’s Arnold Fest, please note, there are two servings. Which is how a marketing team would write my review in their attempt to sell this product. I would like to try a whole container to see if these continues after a few weeks. I feel that all pre-workout supplements feel great at first and then we simply become immune to the effects of the new latest and greatest ingredient. I did like the small servings, which you get 45 in a container, with an option of four flavors. But with a regular price of $69, and a current sale price of $59, this stuff better work. We’ll see what pre-workout wins my love this year. Back to my pile of supplement samples.